I’ve already spent some time talking about how to use Twitter as a band or an artist. The conclusion I came to was that intrusive, in-your-face methods of marketing are mostly ineffective (are they working for you?). Offering quality content (yes, even if that is 140 characters worth), building friendships and relationships, and putting some thought and planning behind your marketing efforts (and being specific about what you intend to accomplish) are going to produce much better results. These days, it’s almost as if Twitter and Facebook go together. People don’t usually talk about social networking without mentioning both. They are, in all practical terms, the most important social media marketing and networking tools available right now. I would be lying if I didn’t say that I’m a little skeptical of Twitter’s new direction, however. But let’s take a look at how to use Facebook as a musician. It may seem obvious, but you need to create a “Page”, not a “Profile” or a “Group”. 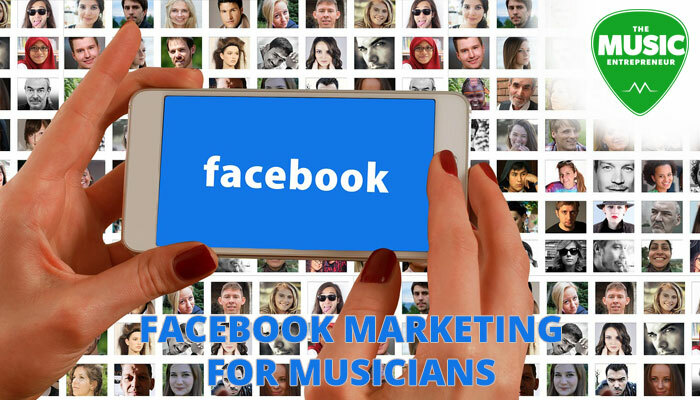 This will allow people to “like” you and your band. Once set up, you need to populate your page with upcoming shows, events, bios, status updates, a band logo, pictures, and pretty much anything else that’s relevant. It may be time consuming, but this is an important step to take before marketing your page to hundreds or even thousands of people. Whenever you go on stage, let people know that you’re on Facebook. Connect your Facebook page to Twitter. When you post something on Facebook, an update will automatically be sent to Twitter. When people see that tweet, they may follow the link back to your Facebook page where they can “like” you. Although it is possible to have your tweets automatically cross-posted to Facebook too, this generally isn’t best practice. Put a Facebook icon on your website and your blog (with a link, of course). You can also use a Facebook widget to display more information if that is to your liking. Display a Facebook icon (and other relevant social media icons) at the end of your YouTube videos, letting your viewers know that they can find you on their favorite social media sites. Also put a link to your page in the description. Make use of Facebook advertising. It costs a little bit of money, but Facebook ads can be targeted to specific demographics, and can help you build your following much faster than if you depended entirely on your organic reach. Join relevant groups and promote your Facebook page there. But make sure to do this with tact, and also beware of the rules of individual groups or you will get banned. Whenever you send out a newsletter to your mailing list, make sure to include a link to your Facebook page. Unfortunately, it seems as though Facebook changes its format about as often as Auto-Tune gets abused in a new EDM track (slight exaggeration, of course). As result, it is difficult to pin down exactly what functionality has been added or removed at any given time. In general, there isn’t a lot of great built-in functionality for bands on Facebook, because it doesn’t have a music focus like MySpace did. ReverbNation has a widget that makes it easy for bands to showcase their music on Facebook. CD Baby has a Facebook store widget that makes it easy for you to sell your music on Facebook. SoundCloud makes it easy for you to send an update to your Facebook page every time you upload a new track. Email marketing services like iContact and MailChimp usually allow you to send out your latest newsletters to Facebook, Twitter, etc. I haven’t covered the specifics of how to set up your Facebook page here, but hopefully the tips I’ve shared get you off to a rolling start. Do you have any tips for marketing on Facebook? Are there any strategies that have worked well for you? Make sure to leave a comment below.